It took me a little longer than I thought but I finally put one of my Pinterest recipes to use! 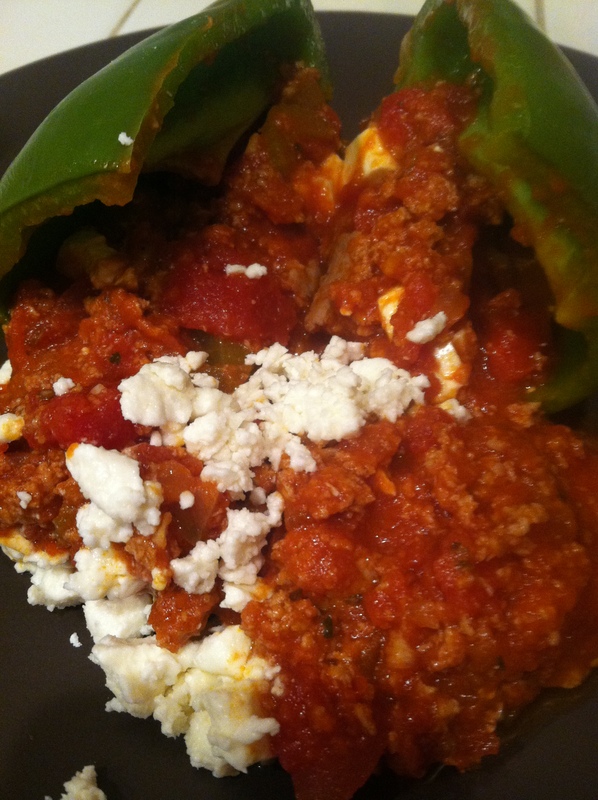 Turkey and feta stuffed peppers! So good! I’m glad I stumbled across this gem of a recipe. 1 28-oz can diced tomatoes. 1/4 tsp red pepper flakes. Preheat oven to 350 degrees. Heat the olive oil over medium heat in a large skillet on the stove. Once hot, add the onion and celery, and saute for 5 minutes until soft. Add the minced garlic and continue sauteing for another minute. Turn the heat to high. Add the tomato paste to the skillet and mash the onions, celery and garlic together with the paste. Cook for three minutes, stirring continuously. Add the ground turkey and brown with the veggies. This should take about six minutes. Then, add the diced tomatoes, salt, basil, oregano and red pepper flakes. Bring mixture to a simmer and cook for about 15-20 minutes, until sauce reduces and isn’t as runny. Remove pan from heat and stir in the feta cheese. Place the green bell peppers on a tin foil-lined sheet tray. 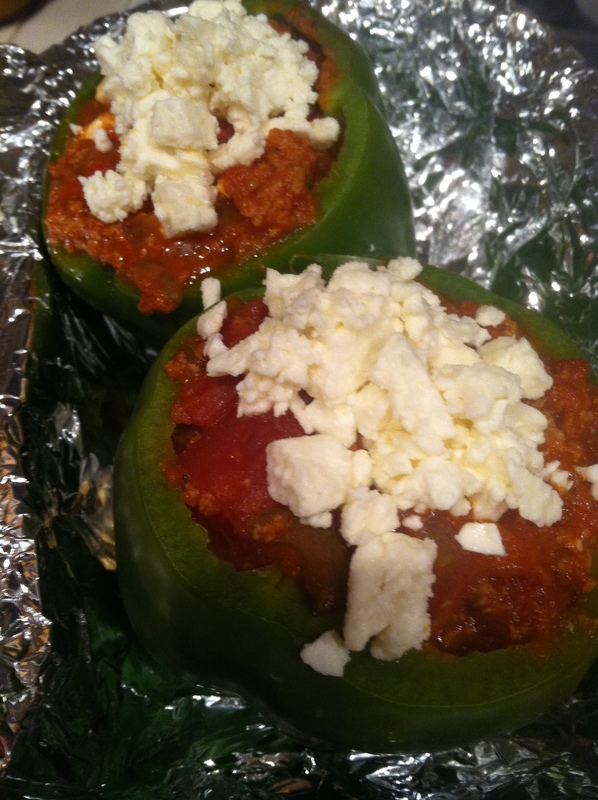 Fill each pepper with turkey and feta mixture. Once all peppers have been filled, cover peppers with a large piece of tin foil and seal. Bake peppers for 30 minutes. Enjoy!